This article is not written to debate the issue of introduced species but to answer the question of, How we can help our native birds survive House Sparrow Predation? For the purpose of this article, HOSP is used instead of typing out the words - House Sparrow. Early in the nesting cycle, the nest of HOSP's can be taken out of any birdhouse they invade, dispose of the nesting material with your house trash. Do not leave nesting material near the birdhouse as they will just start rebuilding with the same material. They're going to go back at nest building no matter what, don't make it easier by leaving stuff around. This is the least effective way to deal with these birds. You can only do this early in the nesting cycle due to a phenomena referred to as HOSP revenge. In retaliation, the HOSP will destroy eggs,young and even the adults. Once the eggs have been laid, the next method is the best alternative. Caution All traps must be monitored closely. Native species can be caught and may perish if not released as soon as possible. Traps should be checked as often as possible during the day. This is something you do not forget for a day. 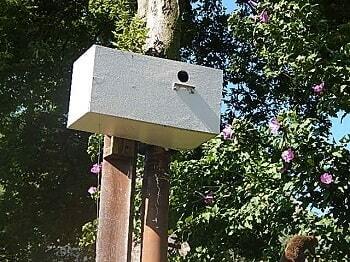 There are many nestbox traps that have been developed for catching these birds. The type of house being used will determine the trap type. Some traps are made for Bluebird houses and others work better for Purple Martin Housing. 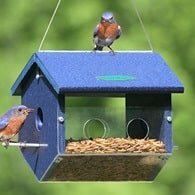 The Insert Trap above works well for Bluebird Houses and is one of the most popular types for protecting Bluebirds. 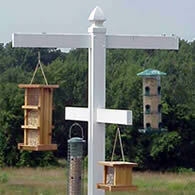 There are other types of insert traps that work better on Purple Martin housing. Check online to see what's available. You'll find some insert traps are house specific. A good resource is the Purple Martin Conservation Association. These are probably my favorite types of traps since they capture so many HOSP's. The two photos show the types I'm currently using. The first is from Sparrowtrap.net and is an elevator trap. The weight of the HOSP drops the elevator, the HOSP then enters the holding area and the elevator returns upward for the next bird. This design is credited to Brad Biddle. I don't know for sure if it's his design or not but, he does show how to build it on YouTube. By the way, sorry for the poor quality on the photos. I won't kid you, it's very difficult to catch that first HOSP. Like it or not, it's my observation that they are one of the most cautious birds of the backyard. Both of these traps work best at fledging time. Young birds are more apt to go for food with less caution. You'll still catch a fair amount of adult birds with these traps. Another trap I like is the Spar-O-Door trap. 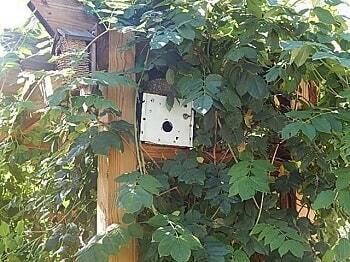 This trap door was developed for a specific brand of Purple Martin House called a Trio House. On the Trio Purple Martin House, the original door is removed and replaced with the Spar-O-Door. I still make use of the Spar-O-Door. In the photo you can see that I've adapted it as a stand alone birdhouse trap. When using the trap this way, you have to place the unit on something such as the arbor you see in the photo. A fence post will work also. Any swaying may cause the mechanism to trip closing the trap door and preventing House Sparrows from entering. 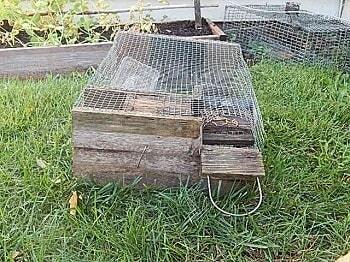 The next trap is called a repeating nestbox trap. 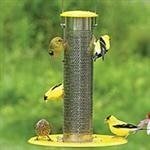 It works similar to the elevator bait trap but is built to resemble a birdhouse. The bird enters, the elevator drops down to an opening in the back of the box that leads to a tube. The bird then falls down a PVC pipe that is attached to a holding cage. The elevator returns to its up position ready for another Starling. 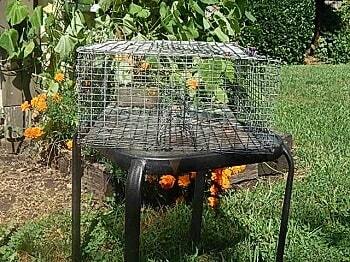 This particular trap is one I use for trapping European Starlings. It could be adapted for HOSP's but I haven't tried. What Types of Bait Should You Use to Catch House Sparrows? The best bait is another House Sparrow. I know, you have to catch one before you can use it as bait. But I'm not kidding, one in a trap will attract many more. If you don't have one in the trap, you'll have to use something else. Depending on the time of year, different bait should be used. During the nest building phase, white feathers placed in the traps may work. HOSP's like to use feathers in their nest, particularly, white feathers. 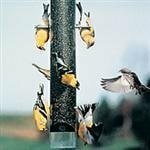 If you have torn nest out of birdhouses, use some of the material in the bait area of the trap. They seem to be attracted to what they've already collected. Plus, they are really fast at rebuilding and will take what's easily available. During fledging time and anytime they are not nesting, you'll need some type of food to attract them to the trap. Some people use big rolled up wads of white bread. I've had most of my success (over 600 caught) using only white millet seed. I don't use any blends of seed because it may attract more native species. 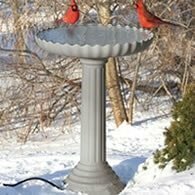 Be careful as Cardinals, Doves, and Native Sparrows are also attracted to white millet. The birdhouse traps are the bait themselves, although it doesn't hurt to throw a white feather or nesting material on the ground near the trap to encourage them to use the trap birdhouse. I'm a firm believer in trapping all year long to control HOSP's. 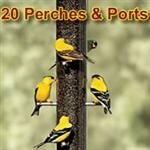 Too many people wait for Spring and then are overwhelmed by the task of fighting these birds. I started several years ago and now have less of a problem then when I began. 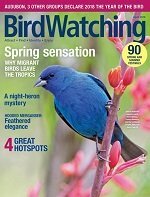 I can quickly eliminate a pair or two in early Spring and my Purple Martins can live in relative peace. 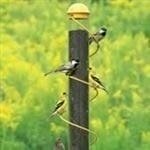 At a minimum, close your birdhouses or take them down during the winter. HOSP's are year around residents and are first to find housing. Give our natives a fighting chance. Sort of stating the obvious here, but if you live in a rural area and local ordinances allow for it, then shooting the HOSP's is an option for you. Let me state that House Sparrows are not a federally protected species in the U.S. Still, you should check with your local and State governments for what is legal where you live. Spend some time researching what you do once you've captured any HOSP's. 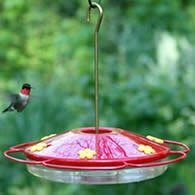 Wildlife rehabbers in a lot of areas around the country no longer accept these birds as they are known to carry the West Nile Virus. These birds are heavy breeders, you'll never be completely rid of them. Keep in mind, the harm they cause our native species is worth the effort and you'll see a difference. I'm convinced that my own efforts have increased the number of native nesting birds I have in my own backyard. Just keep it legal and as humane as possible.